Fall is the busiest time of the year for single moms (or dads, I don’t like to generalize!). Back to school is just the start! The second those kids are settled into their routines, it’s time to start prepping for Thanksgiving! Then Black Friday madness is upon us, followed by the holidays! Sorry, not trying to freak you out here, but Christmas will be here before you know it! Once Labor Day hits, there’s no rest for us! 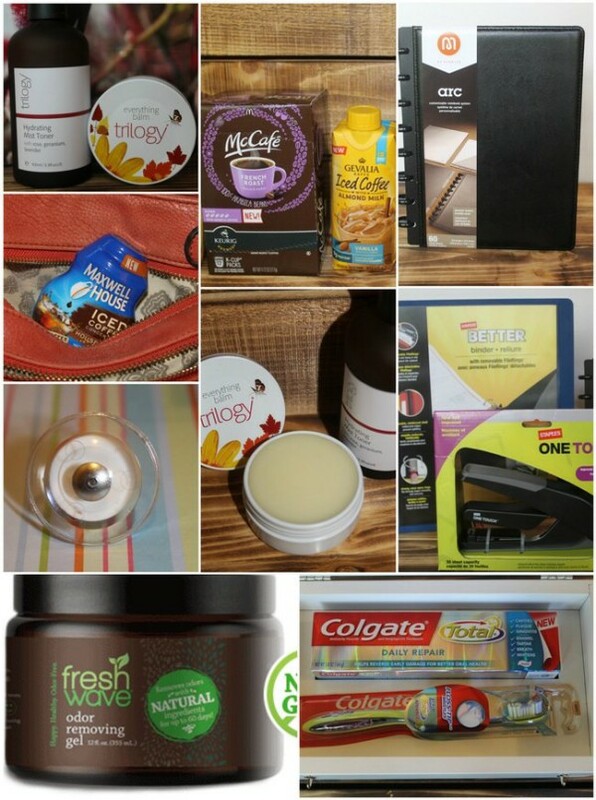 I’ve put together a sort of fall survival kit for busy single parents- single or otherwise. It’s an odd mish-mash of stuff, yes, but when you look at it all together as a “survival kit,” it makes sense! It’s all stuff that I’ve received for review over the last month or two that I find myself grabbing constantly for various reasons now. Let’s start with the obvious, shall we? Every busy parent on the planet needs coffee. Unless you don’t drink it, in which case, wow, I don’t know what to say to you right now! Kidding. Sort of. To each their own. I NEED coffee. I love coffee. It’s my BFF, my soul mate. I got to try out not one, not two, but three awesome new pick-me-up coffee products that I really think belong in a survival kit. First, McCafe makes KCups now! Great news, right! You want it, trust me. 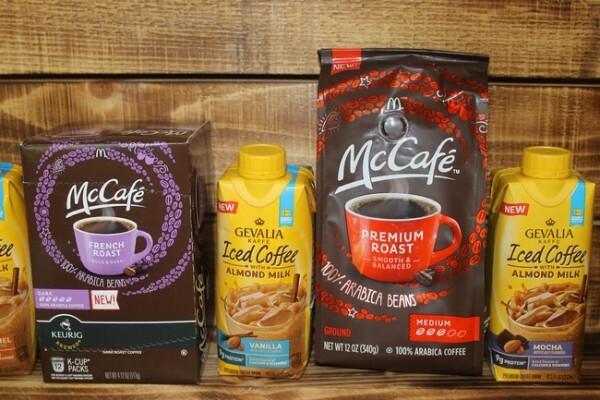 It tastes exactly like McDonalds coffee, except you can make it right at home. McCafe also has ground coffee for when you want to brew a nice big pot. Share it or keep it all to yourself! My favorite is the French Roast, but it comes in other great varieties too. The second two are just pure genius. 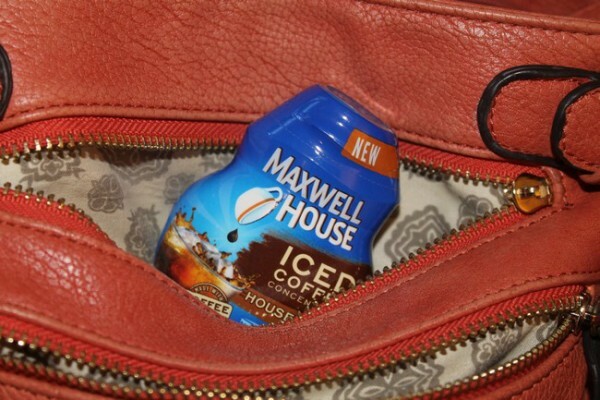 Maxwell House makes these brilliant little iced coffee concentrates that you can actually stick right in your purse. Take them with you everywhere, add them to water and drink. I stash Splenda in my purse to go with them. While I usually use cream, if you drink it iced and add sweetener, you can get away with skipping the cream. Finally, we have Gevalia Iced Coffee with Almond Milk. It comes in a little carton, so it’s ready to drink right away. Perfect for those who are lactose-intolerant, delicious enough for those that aren’t. The Mocha flavor is insane. Plus it has 9 grams of protein per serving, so I don’t have to feel so guilty about skipping breakfast! Now that you’ve had your morning coffee, let’s get those teeth brushed! You don’t want to have dragon breath down at the bus stop or while you’re talking the sale’s rep into giving you a great deal on THE must-have toy of the season, right? 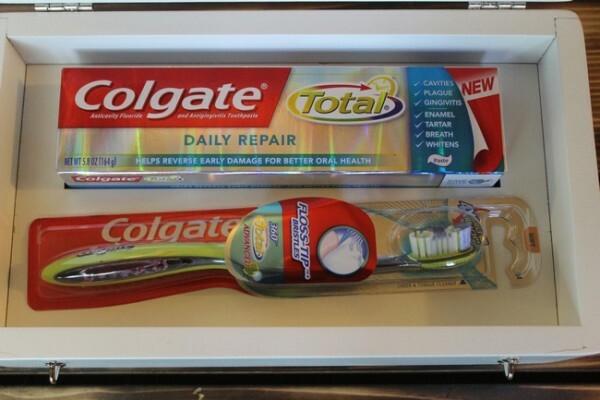 Colgate Total Daily Repair is a brand new toothpaste that doesn’t just freshen your breath, it actually repairs early teeth and gum damage. The fact that it does it without burning the tastebuds off your tongue is a HUGE plus. It leaves your mouth feeling minty fresh without that “I just swallowed a eucalyptus tree” feeling. Okay, teeth and gums are looking good, right? What about the rest of your skin? Fall is a transition season, so we don’t really hear a whole lot about skin care. We’re not in the frigid temps that totally dry us out, or the blazing hot temps that leave us oily and gross. Still, our skin needs care! 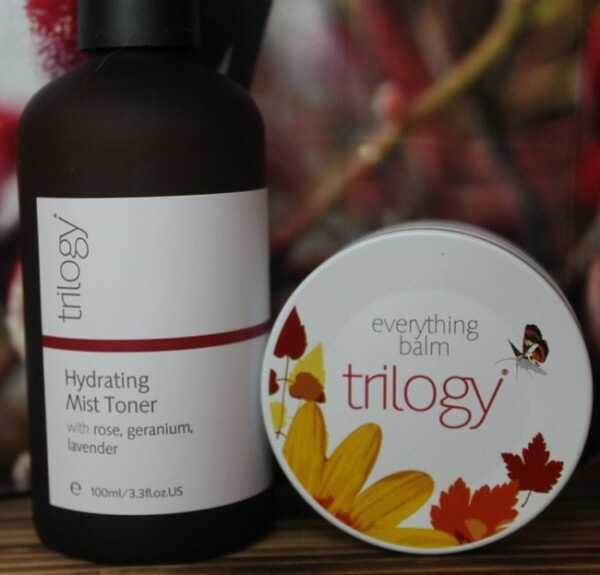 I’m mad about Trilogy’s Hydrating Mist because it cools me down when I’m roasting and leaves my skin feeling fresh. It doesn’t add any oiliness, so it’s just right for every condition. Use it as the last step in your cleansing routine or as a quick pick-me-up when you’re feeling all gunky after running around all day. 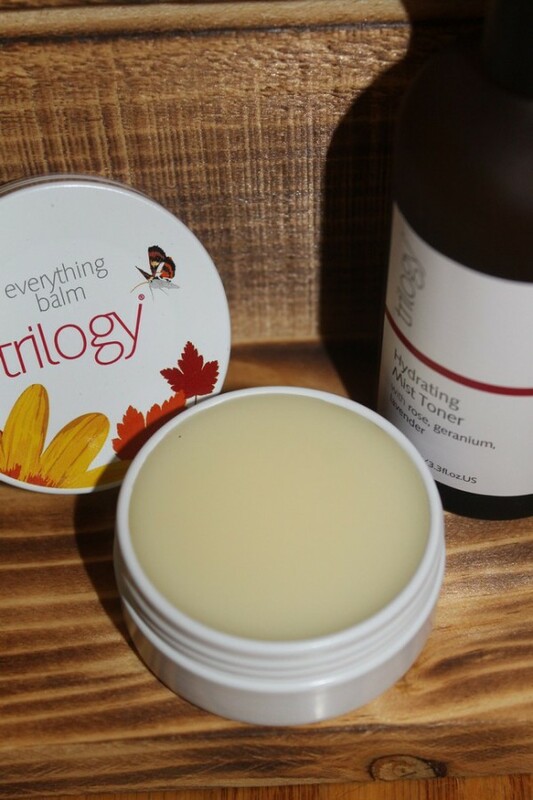 For everything else, there’s Everything Balm- and yes, they do mean everything. Use it on your parched, dry lips, bumpy elbows, cracked feet. Even melt it into a massage oil! It’s perfect for guys and girls. It comes in the happiest little box you ever did see. The generous 95ml container is just $36. It’s a fair price considering how long it’ll last you and how very many things you can use it for! Get both of them at Trilogy! 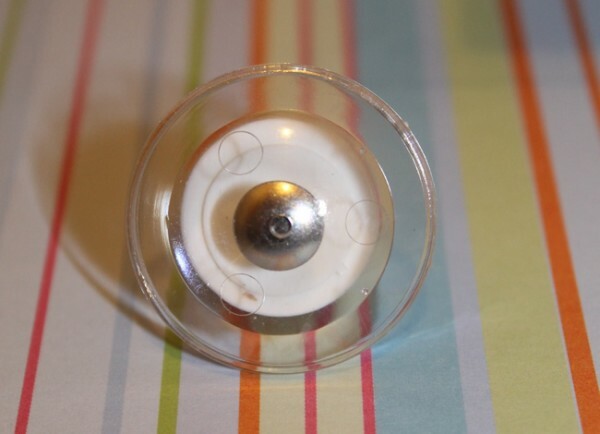 Pinions are insanely strong pins that adhere to their backing with mega-magnets. The only way to undo them is by using a little tool to de-magnetize them. Until you’re ready to do that, even Kryptonite can’t take them down. They’re also useful for holding that duvet inside your fancy duvet cover when the weather gets cooler. They’re crazy-useful and totally revolutionary, making them a total staple for your fall survival kit! Who has time to constantly clean when they’re always on the go? Whether you need to let the laundry or the litter box go an extra day, Fresh Wave helps keep things from getting ripe. I’ve been using it in my house for about three weeks now. I have Fresh Wave Spray, Gel and Packs. The Packs are great for throwing in your car, gym bag (AKA, that bag filled with random stuff that you pretend is for the gym), that one drawer in your dresser that always gets a funky smell for some reason. The spray is ideal for stinky shoes, stinky dog accidents, etc. Keep the gel in the laundry room, litter box room or any place that needs non-stop odor care. All the Fresh Wave products are all-natural and pet-safe. They smell like a cup of tea on the back deck after the rain. Minty yet earthy and natural. 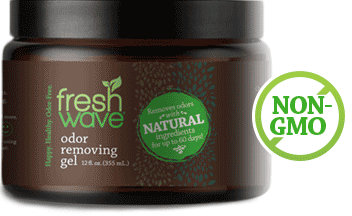 Learn more about Fresh Wave and find their products at Target. Staying organized is the only way you’re going to make it through the busy fall season. Staples has everything you need to keep your life in order without breaking down into tears. 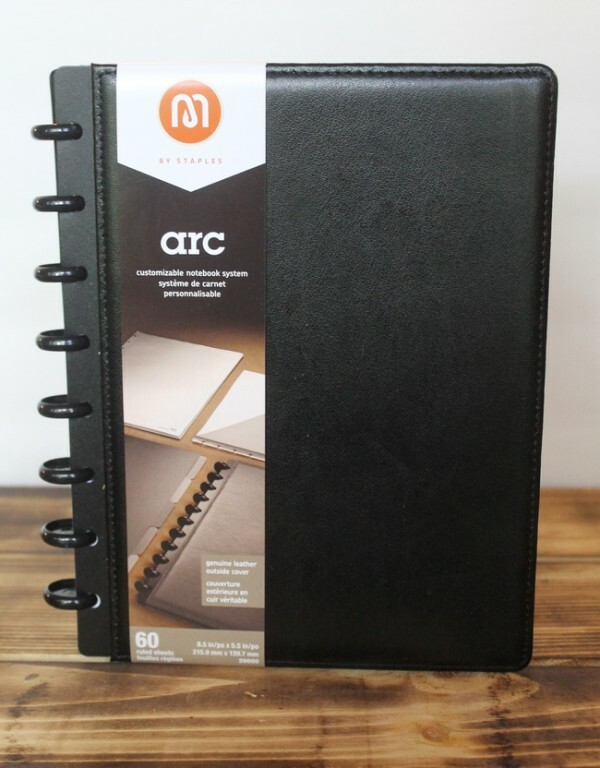 A few of my current favorites: The Staples Arc Customizable Leather Notebook, Staples One-Touch Stapler and Staples Better Binder with Removable Rings. The Arc is my favorite favorite. I’ve always loved this notebook. I have one that I use to organize my writing ideas so I actually remember them. My newest one I’m using to develop a Pinterest plan. If you’re not a blogger, though, they’re just the right size for keeping track of spending, your login and passwords (or reminders to jog your memory about passwords) and just about anything else. You can take out the pages and move them around, or easily add more. 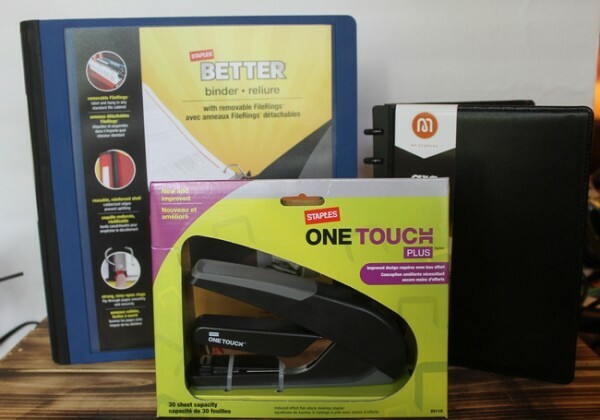 The Better Binder and the One-Touch Stapler are both new to me. I really love the Better Binder because the rings are removable. You can fill it up, pop them out and file them away in the filing cabinet. Then start all over again. One binder to rule them all! I’m also loving the One-Touch Stapler because it’s super easy on my carpal tunnel hands. 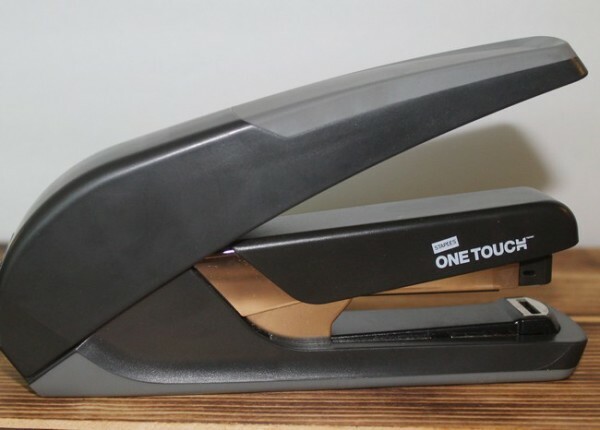 One touch and you can staple through up to 30 sheets of regular paper. It promises 60% less effort. While I never measured the amount of effort it took to staple before, it definitely FEELS easier. Plus you just hit a little button and the loader thingy pops right out! Like I said, it seems like a lot of unrelated stuff, but if you look at it all together, what you have here is a total survival kit designed to keep you awake, beautiful and organized while your house smells good and looks put together! Everything here takes care of the little details so you can take care of the big ones, like your family and that massive to-do list! Which item in this fall survival kit would you love to try first? Tell me in the comments!